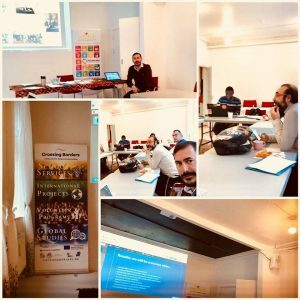 “VET4MIGRE” is a Strategic Partnership in the VET field coordinated by the Danish organization “Crossing Borders”, with MVNGO as a partner organization. Project Consortium comprises 6 NGOs from Denmark, Italy, Greece, Spain and Bulgaria. 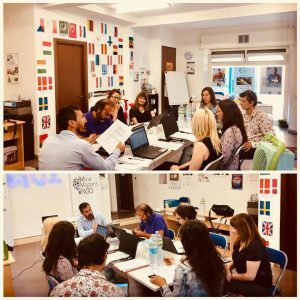 The project aims at promoting social inclusion of migrants in the hosting communities and migrant employability in the labour market through fostering the adoption of high quality methods to promote professional engagement in entrepreneurship by migrants. – A Target Group Report based on a context survey done in all partner countries in relation to migrant inclusion in EU local economies. .- A Guide for Migrant Entrepreneurs. – A Tool KIt for VET Migrants’ Providers. 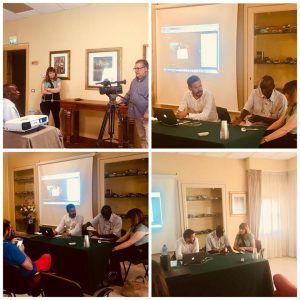 – An online Migrants Entrepreneurship Course. 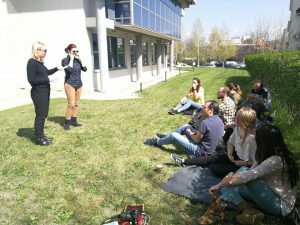 1) A Job Shadowing Training Event in which partner organizations’ staff will learn the methodology of fast teaching in Language courses (Bulgaria, April 2019). M1: Meeting in Humlebaek (Denmark).